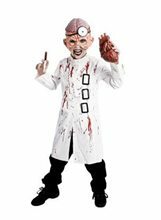 Deluxe Doctor Insano Child Costume.Includes: White jacket with 3 buckles, half mask with "open brain", syringe and vial of fake bloodAvailable Size: Child - Medium (7-8), Child - Large (10-12). (See Size Chart For More Information) *Shoes Not Included. Accessories Sold Separately.Dr. Insano Costume includes white jacket with 3 buckles, half mask with "open brain", syringe, and vial of fake blood. Pants, shoes, & fake organ not included. 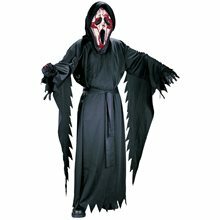 The Living Dead Child Costume.Includes: Shirt with hood, vinyl chest piece, vinyl half mask and pants. Available Size: Child - Medium (8-10), Child - Large (10-12), Child - XLarge (12-14). (See Size Chart For More Information) *Makeup and Shoes Not Included. Accessories Sold Separately. 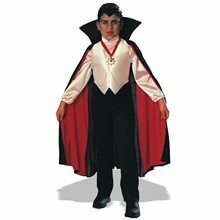 The Living Dead Child Costume includes shirt with hood, vinyl chest piece, vinyl half mask and pants. 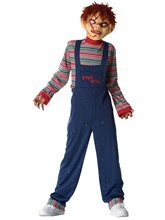 Dr. Killer Driller Dentist Child Costume.Includes: Coat, headpiece with attached hair, band with magnifier and fake plastic tools.Available Size: Child - Medium (8-10), Child - Large (12-14). (See Size Chart For More Information)*Makeup, Drill, Pants and Shoes Not Included.The Boy's Dr. Killer Driller Dentist Costume comes with a bloody dentist's coat that says, "Dr. Killer Driller, Agonizing Pain Guaranteed" on the pocket. It also includes a baldy headpiece with attached mad scientist hair, a band with a magnifier and fake plastic tools. The makeup and the large drill are not included. 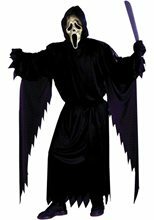 This is a humorous yet scary costume. Chase the scaredy-cats with your tools and tell them to open wide.